Poughkeepsie, NY– Dutchess Tourism, Inc. (DTI) announced the release of two new brochures designed to draw attention to Dutchess County’s booming craft beverage industry and to major art and cultural venues in the Hudson Valley. Both are free and available online at DutchessTourism.com/brochures-guides-newsletters, and in print at DTI’s 18 Tourist Information Centers located throughout the county. They will also be distributed at upcoming domestic travel trade shows in New York City, Philadelphia, Boston, Washington D.C., and internationally at shows in Dublin, London and Berlin. The 2017 Wayne County Visitor Guide is Ready! Wayne County, N.Y. – The new 2017 Wayne County Visitor Guide has just been delivered and is ready to be mailed or picked up by you. The guide is an all inclusive brochure containing information on accommodations, outdoor recreation, restaurants, attractions, historical sites, charter boats, fishing and more. The Wayne County Visitor Guide is produced by the Wayne County Office of Tourism. We have printed 60,000 guides to be distributed throughout the United States and Canada in response to our advertising campaign. The guides are also distributed at local and regional information centers, travel/trade shows, literature exchanges and Triple A Associations. FINGER LAKES, New York. (Jan 19, 2016) - It may seem like spring is a long way off, but it&apos;s never too early to start planning your water-based activities once the snow has cleared. Whether you enjoy fishing, scuba diving or just hiking around the waterways, the new Finger Lakes region ‘On the Water!&apos; guide will help you find your way to the many recreational water activities in the region. 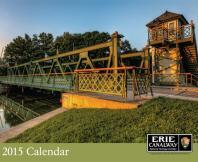 Waterford, N.Y. - The public is invited to pick up a free 2015 Erie Canalway National Heritage Corridor calendar starting December 1, 2014 at selected libraries and visitor centers throughout the National Heritage Corridor. 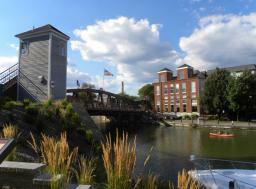 Each month features one of twelve winning images from this year&apos;s Erie Canalway photo contest. The calendar captures the unique beauty, history, and character of New York&apos;s canals and canal communities. 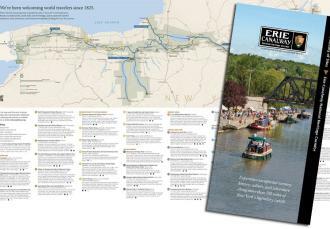 Waterford, N.Y. - Erie Canalway National Heritage Corridor has produced a new directory of canal sites and museums to introduce New York State residents and visitors to more than 45 sites all along the NYS Canal System. The directory is available at numerous canal sites and visitor centers along the Erie, Oswego, Cayuga-Seneca, and Champlain Canals. "Summer is the perfect time for families and visitors to explore New York State&apos;s historic canals," said Bob Radliff, Director of Erie Canalway National Heritage Corridor. "Whether traveling by boat, bike, or car, the directory will help people find their way to interesting places." Hudson Valley, N.Y. - The 2014 Orange County Travel Guide has been flying out of the tourism office with thousands of requests from across the United States and Canada. People are reaching for the guide with the beautiful cover photograph of the view of the Hudson River from Washington&apos;s Headquarters State Historic Site in Newburgh. Colorful photos of some of New York State&apos;s most famous attractions can be seen next to vivid descriptions of all there is to experience in this hefty 44-page guide. Long Island, N.Y. - When does cod fishing peak? Where can you catch cow stripers on June&apos;s full moon? What color bucktails fool doormat fluke? Are the trout stocked yet? 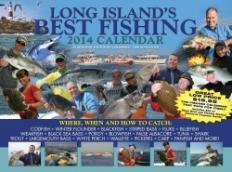 You&apos;ll find answers to these questions and more while flipping through Long Island&apos;s Best Fishing 2014 Calendar, by Tom Schlichter. Cayuga County, N.Y. - For couples seeking the ultimate destination wedding where the setting is only limited by their imagination, Cayuga County is the place they should be. If you are looking for a place to fulfill your fantasies - rustic romance in an historic setting, a ceremony on the beach or in the middle of a vineyard, or a traditional wedding at an elegant hotel, it can all be made possible in Cayuga County. Destination weddings are magical in Cayuga County thanks to the stunning backdrops, unmatched venues and welcoming locals. Waterford, N.Y. - Cyclists can now see more of the Erie Canalway National Heritage Corridor using new bicycle tour routes that connect with the cross-state Erie Canalway Trail. The on-road routes, ranging from easy to challenging, take riders through scenic countryside in Orleans, Ontario, Wayne, and Madison counties. "We&apos;ve got world class cycling along the 365-mile Erie Canalway Trail and these routes give cyclists additional options for day trips exploring beyond the canal route,"